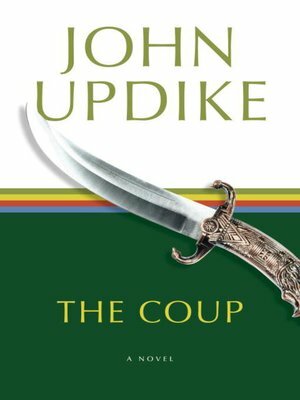 The Coup describes violent events in the imaginary African nation of Kush, a large, landlocked, drought-ridden, sub-Saharan country led by Colonel Hakim Félix Ellelloû. ("A leader," writes Colonel Ellelloû, "is one who, out of madness or goodness, takes upon himself the woe of a people. There are few men so foolish.") Colonel Ellelloû has four wives, a silver Mercedes, and a fanatic aversion—cultural, ideological, and personal—to the United States. But the U.S. keeps creeping into Kush, and the repercussions of this incursion constitute the events of the novel. Colonel Ellelloû tells his own story—always elegantly, and often in the third person—from an undisclosed location in the South of France.